When you decide what category that you fall in to, the next step is to price the ink cartridges for the printer. This is where a lot of people get caught out as they are attracted to the low cost printers on sale in the large stores and often buy the printer without giving any consideration to the cost of the ink. Replacing an ink cartridge can be a costly exercise unless you revert to using a good quality compatible. When choosing a replacement for a broken printer checking the price is important but also make a note of the cost of the original brand ink cartridges. Some printers will use two ink cartridges; black and colour and some photo printers will use between four and six colours. Next check that a compatible version of the ink cartridge is available – if the printer is very recent there may not yet be a compatible version available for that model. If a compatible version is available check the price against that of an original brand and calculate the savings. Lifting the phone and chatting to your online ink supplier before you buy your printer can also pay dividends. They are able to offer advice on the different printers that will accept the compatible inkjet cartridge will little chance of rejection. For example, Epson and Brother inkjet printers are more likely to accept the compatible inks without issue compared to HP printers. This is particularly useful if you are a heavy user and have a substantial budget for in-house printing over the course of a year. There are big savings to be made by using compatible version of ink and toner. The same rules apply to laser printers although there is less likely to be any issues with toner cartridges than inkjets. The laser printers will be more for a heavy home user or office and they come as mono (black and white) or colour. 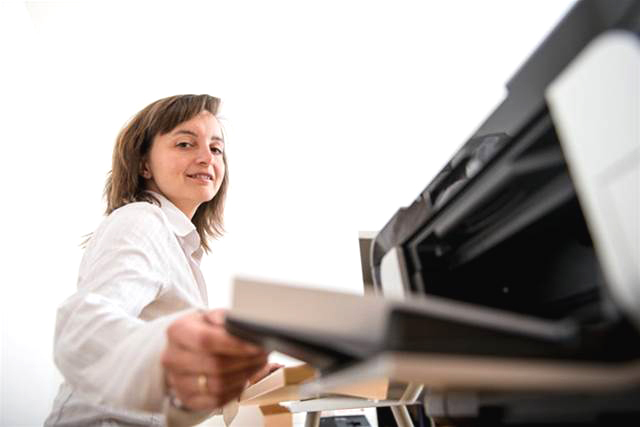 A busy office will send a lot on ink and toner during the year so a good quality compatible toner can make a big difference to their expenses.